Launching a collection of summer products to an audience that predominantly associates you with winter requires an impactful campaign. 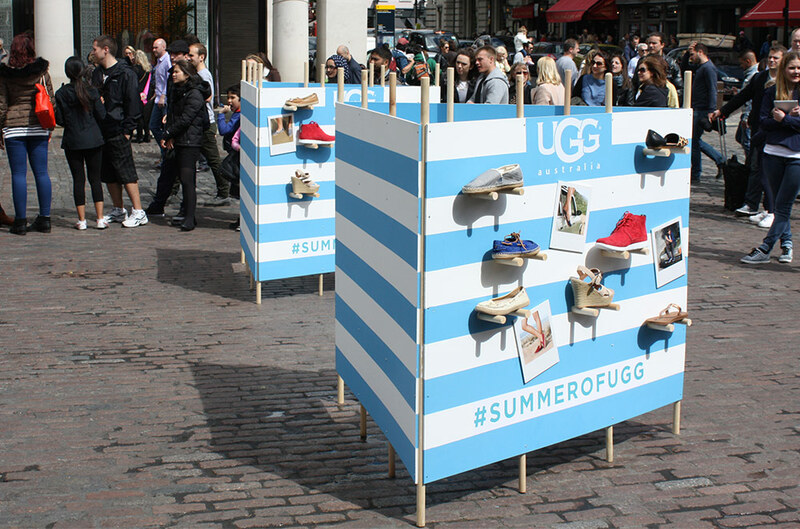 Working with experiential agency C+IB, Ugg created the ‘Summer of Ugg’ concept which would take place through a series of branded events. We were briefed to design the visual content for the experiences, ranging from the branding through to an interactive website game and the set itself. Our approached referenced the traditional elements of summer in a minimal illustrative style which resonated with their fashion conscious audience. The events successfully took place over three weekends in Covent Garden, Westfield White City and Birmingham Bullring, with the website experience live for the whole three weeks. The projects results showed increased shop footfall, social media traffic and product awareness.